Please read this terms and conditions (“T&C”) carefully. 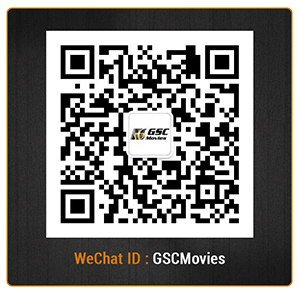 By joining this Contest, you agree to be bound by the T&C regulated by GSC Movies Sdn. Bhd. (“Organizer”). 1. This Contest is open to residents of Malaysia with valid identification number (NRIC) and 12 years old or above. By entering the Contest, you warrant that you meet these requirements. 2.1. Contest Period and locations are subject to change by the Organizer without notice. 3.2. Representatives, employees, servants and/or agents of advertising and/or promotion service providers of Organizer including its affiliated and related companies, and their immediate family members (children, parents, brothers and sisters including spouses). 4.2. Complete the submission by uploading a photo/ up to 15 seconds video with the standee taken at the Contest Locations on Instagram stories within Contest Period given. All entries received outside the Contest Period shall automatically be disqualified. 4.3. Complete submission by also including hashtag #FriendZoneMY and tag the organizer with @gscmovies in the same entry post. 4.4. Participants are required to tag at least 1 friend in the stories. 4.5. Winners will be contacted by the Organizer via the Instagram inbox reply on the 23 April 2019. 4.6. Winner is required to inform the Organizer via Instagram’s Private Message (PM) their contact details regarding the prize redemption. 4.7. If a response is not received within 12 hours, the Organizer will choose another Contest Winner(s). 4.8. Participants are required to provide correct and valid personal information in order to validate the registration for the Contest. Any unclear or incomplete details will make the participation void. 4.9. Each participant may send more than one (1) Contest entry but only entitled to win one (1) prize only throughout the entire Contest Period. 5. The Organizer in its sole discretion, reserves the right to disqualify the submissions without prior notice or explanation. 6. The Organizer retains all proprietary rights to the intellectual property contained within the GSC Movies Instagram page, and owns the copyright to all contents within. 7.1. Entries will be judged by the Organizer based on the 5 most creative photo submissions. 7.2. The Organizer’s decision is final. 7.3. The Organizer reserves the right to reject any entry at its sole and absolute discretion without having to assign any reasons whatsoever. 7.4. The Organizer reserves the right to request written proof of identification (IC) number and age of any Contest winner before the prize is dispatched or collected. The Organizer reserves the right to forfeit prizes for any Contest winner who does not provide the required details upon receiving the request/notification from the Organizer. 8.1. The winner will be announced on both GSC Movies Facebook and Instagram page on the 24th April 2019. 8.2. The Organizer reserves the right to use any other method or medium that it deems fit at its sole and absolute discretion for the purpose of announcing the Contest winners. 8.3. The Organizer reserves the right to appoint a third party to conduct the verification of Contest winners and to fulfil the delivery of prizes and participants agree that the Organizer may provide all necessary information of Contest Winner to such third party to facilitate such services. 9.1. The giveaway prizes for this competition are 5 sets of Friend Zone Limited Edition T-Shirts. 10. By entering this Contest, participants agree to let the Organizer use the personal data provided by the participants to the Organizer for the purpose of the Contest and promotional or marketing purpose by the Organizer in future. Nevertheless, all details shared by the winners shall be handled by the Organizer in accordance with Personal Data Protection Act 2010. 11.1. Participants agree that whilst all reasonable care has been taken in providing and maintaining the Contest, the Organizer disclaims responsibility for the contents of or information posted by participants on the Contest. The Organizer shall not be liable for any direct, indirect, incidental, consequential or punitive damages arising out of the Contest, or any inaccuracies, misstatements, errors or omissions in the contents thereof. 11.2. No member, user or third parties are authorised to make any statements, opinions or contributions on behalf of the Organizer. 11.3. The Organizer reserves the right to review and modify these T&C from time to time, without prior written notice. 11.4. Participants are deemed to have accepted the T&C and all revisions and modifications thereto, if any, upon participation in the Contest. 11.5. This Contest is in no way sponsored, endorsed or administered by, or associated with Instagram. 11.6. The information participants provide will solely be used for and by the Organizer and will not be sold, transferred, given or shared with any third party not in any relation to this Contest.